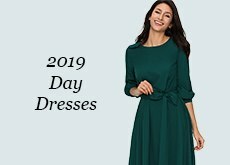 This dress is great! It came in quickly and the packaging was professional. I ordered a custom size since it was do affordable. 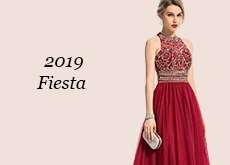 The quality of the dress is professional and very well done. It is comparable to one found in overly expensive dress shops for a fraction of the price. It fits perfectly and I can't wait to wear it on my wedding day. I've already got plenty of compliments from my bridesmaids. 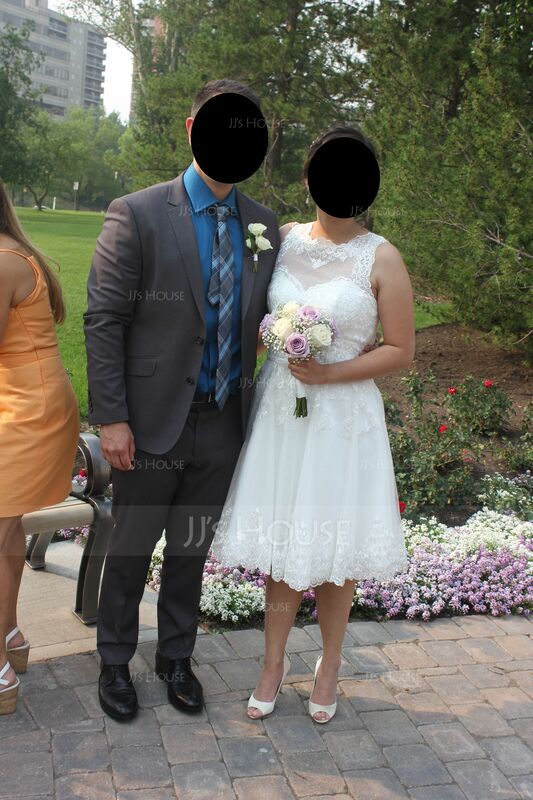 I couldn't be happier with the dress and the price I paid for it! 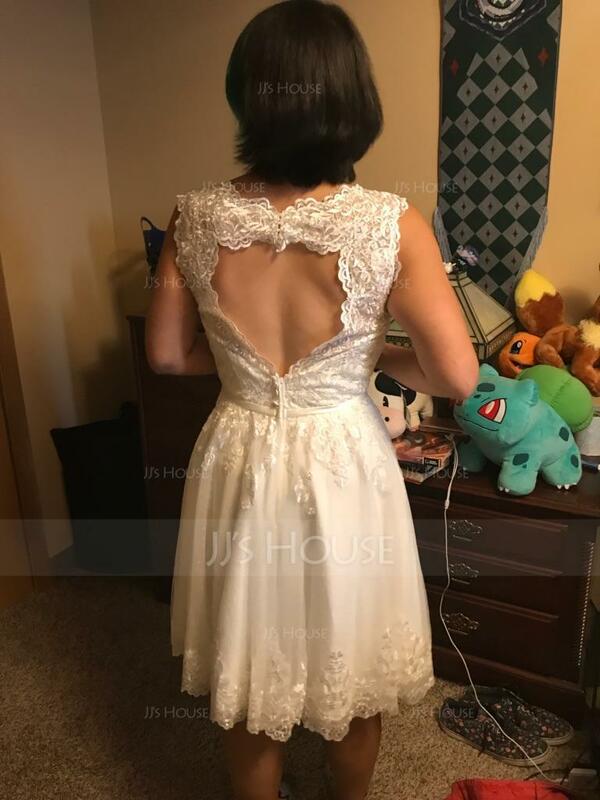 Would definitely recommend JJ's House to new brides preparing for their special day. 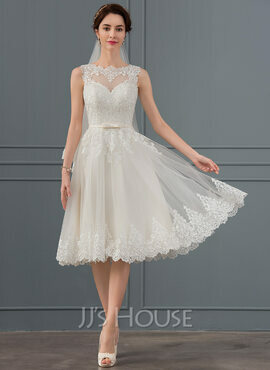 The length of the dress is really suitable for me and the design is also sweet and nice. The fabric is light. 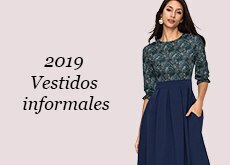 It is a wonderful dress. 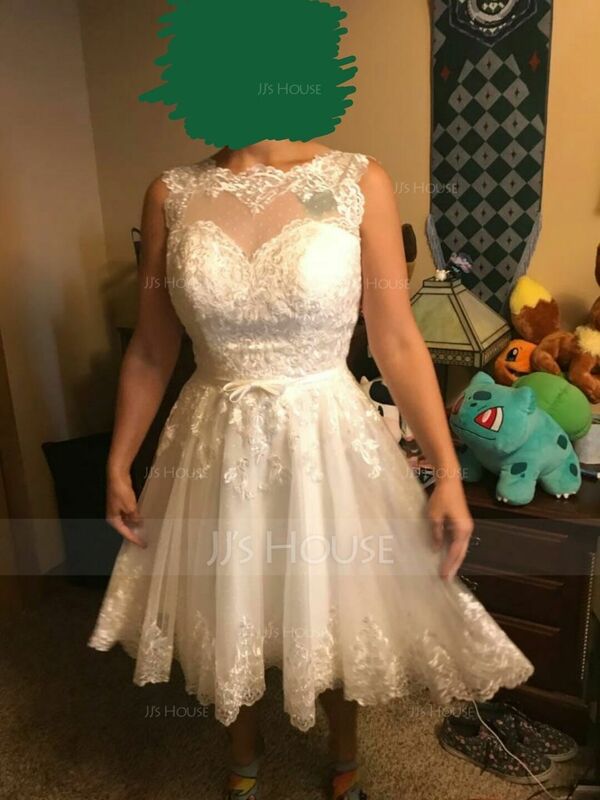 I just received my dress! it is just lovely and amazing!